The idea for the Adirondack 102 Club: Your Passport and Guide to the North Country began after Martin Podskoch read about Dr. Arthur Peach’s story in Vermont Life magazine suggesting an informal group, the 251 Club, “to discover the secret and lovely places that main roads do not reveal.” He felt that every part of Vermont had its beauty, history, attractions, traditions, and interesting people. Podskoch stated in the book’s introduction, “Since 2001, I traveled to all of the 102 towns and villages in the Adirondacks gathering stories for my five books on the Adirondack fire towers, the Civilian Conservation Corps camps, and Adirondack lore. In my travels people have taken me in for the night and shared their home, food, and stories. I have met so many wonderful people and seen so many interesting places that I want to share my experience. “Most people who visit the Adirondacks visit one particular area. For eight years I wondered if I might be able to duplicate for the Adirondacks what Dr. Peach did for Vermont. “Then, in December 2013 I spoke at an Adirondack Association of Towns and Villages (AATV) and proposed the idea of starting the 102 Club for the Adirondacks. The AATV liked the idea and encouraged me to contact the town supervisors and mayors for their help. 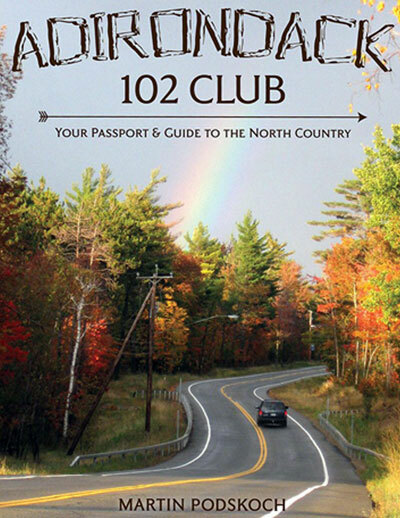 The result is the Adirondack 102 Club: A comprehensive guide to travelers in a quest to visit all 102 towns and villages in the Adirondacks. Club members also learn about the history and fascinating places in the Adirondacks. “By getting their Passport and Guide Book signed or stamped by a resident or business, they also get to know the friendly locals and be able to ask such questions as where is a good place to eat or an interesting local attraction? In this way they will get to know the real Adirondacks,” Martin Podskoch said in an e-mail to the New York History Blog. 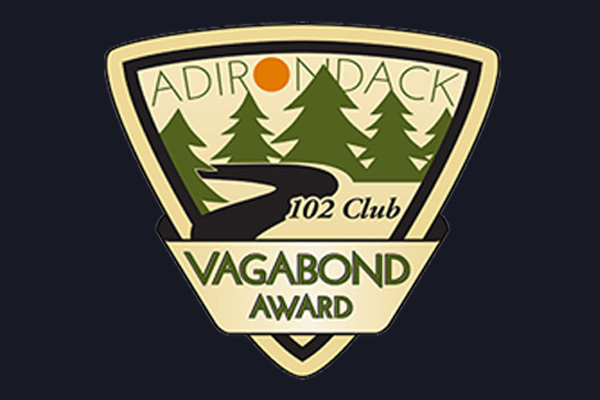 Once a member of the Adirondack 102 Club has reached their goal of visiting all 102 towns & villages in the Adirondacks they will then become a “Vagabond” member.